The DualPrep™ Grinding/Polishing machines grinding and polishing machines, with the PH™ line of power heads, are powerful systems for semiautomatic operation, ideal for low to high volume sample preparation requirements. 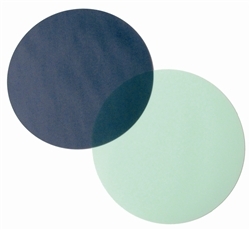 A wide variety of combinations provides ideal solutions that accommodate any lab, application or material. 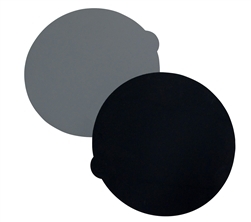 Intuitive menu navigation with user-friendly touchpad interface and backlit LCD make them easy to use and program. The microprocessor based system allows up to 25 programmable steps, including parameters for platen speed, comp/contra rotation (sample holder/platen), cycle time, fluid selection, sample force (LbF or N), sample rotation speed, water rinse and force reduction (on/off, %). The PH-3™/PH-4™ power heads offer maximum versatility for low to high volume semi- automatic sample preparation, using either central or individual sample force modes. The pneumatic-electric system provides controlled sample force and allows up to 12 samples to be prepared simultaneously, depending on power head, mount diameter and holder size. 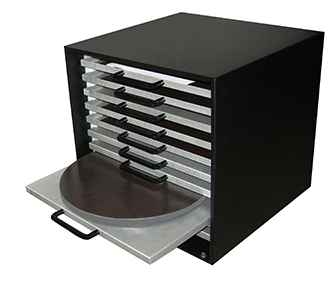 The unique tilt-up design allows easy, unhindered access to the sample holder and platen, and eliminates the need to reposition the head during the preparation procedure. 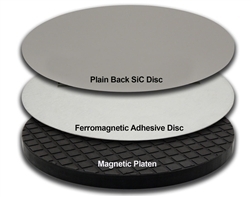 Either standard or magnetic platens may be used with any plain/adhesive backed or magnetic system disc.